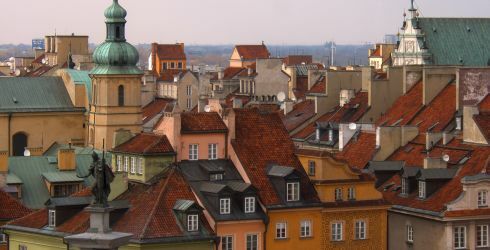 Are you and any friends or family thinking about a big trip to Poland? No matter how big or small the group, you're guaranteed to have a great time soaking up the culture in one of Europe's vibrant and lively countries. From historic sites to charming medieval backdrops that escaped the ravage of war, Poland is a great country to visit as a group. And given the wide range of places to go, there will be something enjoyable for everyone traveling with you. Many travel suppliers will offer the group host free travel as a thank you for putting together the group; airlines, hotels, and tours are just a few of the opportunities, if not for free, but at a significant discount for you and possibly the entire group. As you work on your Poland group travel plan, make sure to balance group time versus individual time. Every group is different, and you can design a trip to suit any of your needs, but the best trips give everyone a little bit of freedom while ensuring some great group experiences. Finding and choosing your travel planning professional can be difficult when you want some help perfecting your travel itinerary. Be sure to work with someone who not only knows their way around the multitude of attractions in Poland, but someone who has firsthand experience of group.